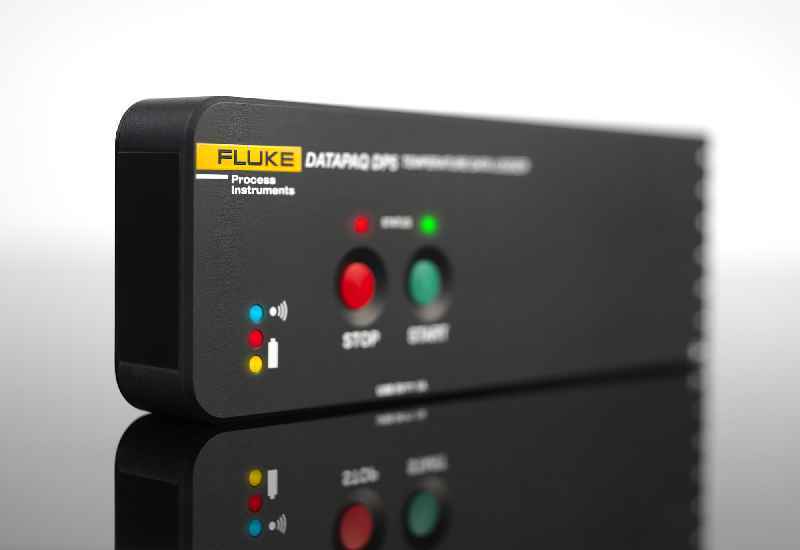 At the 2019 SMTconnect, Fluke Process Instruments will present its new Datapaq DP5 data loggers for inline temperature profiling in reflow soldering processes. Launched at last year’s show, the profilers are now in serial production. Fluke Process Instruments presents temperature profiling technology at the 2019 European Coatings Show. The manufacturer provides dedicated hardware and software kits for monitoring thermal cure of powder-coatings, paints, adhesives, and sealants. Combining two devices using two different temperature measurement technologies, Fluke Process Instruments provides the glass industry with more information on high-value applications like float glass manufacturing, glass tempering, and windshield forming and laminating. Temperature profiling runs with a data logger enable operators to quickly optimize furnace settings for new products and to identify problems with burners or airflow. 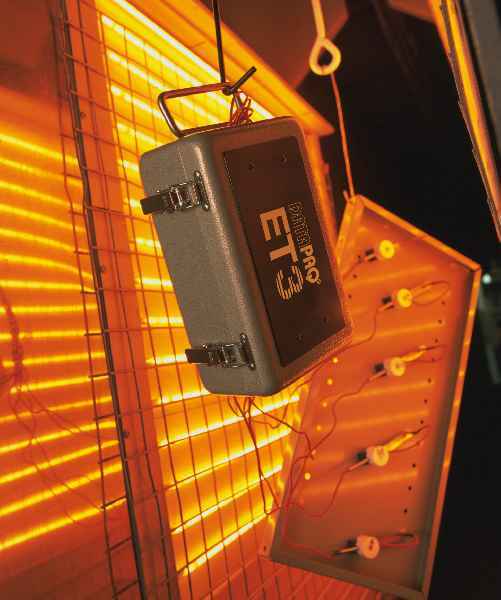 They are complemented by a thermal imager installed at the furnace exit for 100 % production monitoring and traceability. Datapaq Furnace Tracker profiling systems travel through heat-treatment and quench processes. They record the product temperature curves via up to 20 thermocouples cemented to the glass pane. These industry-specific profiling systems consist of a data logger, a thermal barrier, and software with advanced analysis, reporting, and archiving functions. The manufacturer offers the largest range of thermal barriers in the market and will advise customers on which system setup to use for their applications. The other measuring device, a Raytek MP150 infrared linescanner, scans each glass pane when it exits the furnace. It generates a thermal image and immediately shows up hot and cold spots. The series comprises various different spectral models, allowing even low-emissivity glass to be monitored. In contrast to thermal cameras, the linescanner needs only a very narrow field of view. It is therefore ideal for manufacturing lines with furnace and quench installed in close proximity. Fluke Process Instruments provides a dedicated temperature profiler for aluminum vacuum brazing furnaces. 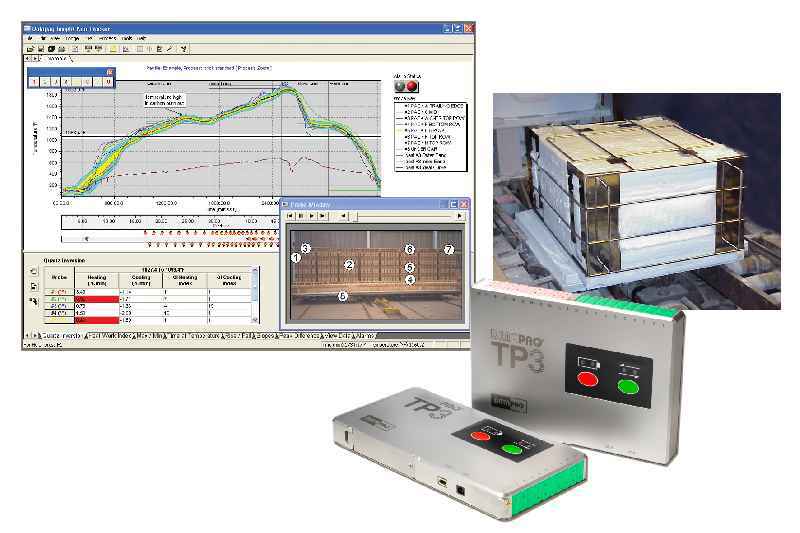 The Datapaq Furnace Tracker system automatically generates CQI-9 and AMS 2750E reports. It is designed for frequent use, even during normal production. Fluke Process Instruments offers a comprehensive range of temperature monitoring solutions for primary and secondary metals manufacturing. The company has just introduced ThermoView TV40 thermal imagers with an integrated visible-light camera. Fluke Process Instruments will showcase solutions for temperature measurement and quality control with data loggers and infrared technology at the glasstec exhibition in Düsseldorf, Germany. 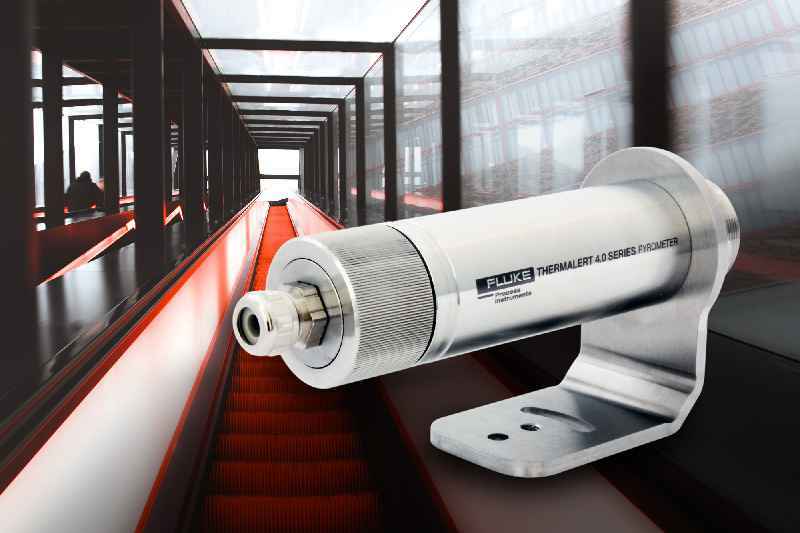 The new Thermalert 4.0 spot pyrometers enable noncontact, automatic monitoring of glass surfaces. At the ALUMINIUM 2018 exhibition in Düsseldorf, Germany, Fluke Process Instruments will present its latest temperature profiling innovations for the aluminum processing industry. The thermal profilers enable furnace surveys and in-process product temperature monitoring with up to 20 thermocouple channels. Fluke Process Instruments launches a new range of data loggers for temperature profiling in short and medium-duration processes in the electronics and paint & powder-coating industries. The Datapaq DP5 series is optimized for ovens with a low clearance and reflow solder applications. Fluke Process Instruments launches a new range of data loggers for temperature profiling in short and medium-duration processes in the electronics and paint & powder-coating industries. The Datapaq DP5 series is optimized for ovens with a low clearance and reflow solder applications. A machined-from-solid aluminum case ensures maximum protection for the electronics when used in an industrial environment. Users can pick from various profiler formats for the best match to process restrictions. The loggers are available in six and 12 thermocouple input versions. They provide a ±0.5 °C accuracy and a ±0.1 °C resolution over the full measuring and operating temperature ranges. Measurements can be started and stopped manually, via two color-coded buttons, or triggered by time or temperature. The loggers combine ease of use with excellent availability and minimal running costs: they feature a user-replaceable NimH battery pack, which can be recharged from any USB outlet or port. One 90-minute charge allows for more than 40 hours of profiling. The sampling intervals can be set between 20 milliseconds and 10 minutes. One logger can survey up to 10 ovens in succession, storing individual profiles with up to 600k data points in total. Downloads via the USB or Bluetooth connections can therefore be scheduled more efficiently. An integrated radio transmitter optionally provides real-time data from within the process. All process and system data can be communicated to factory-monitoring systems via the OPC interface. The standard Datapaq Insight software quickly transforms the raw data into actionable information. It now includes the Easy Oven Setup recipe calculator, SPC, and trending analysis. The new Datapaq Insight Professional software includes the Surveyor profiling tool that measures process performance at the critical board level and reduces the need for expensive Golden Boards. Furthermore, the portfolio includes a complete range of thermal barriers for all industry needs. All Datapaq DP5 loggers are supported with a full one-year warranty. Complementing the warranty, the manufacturer offers a yearly service and recalibration contract, which includes free software updates and loan equipment for guaranteed peace of mind. At the SMT Hybrid Packaging trade show in Nuremberg, Germany, Fluke Process Instruments will launch a new range of temperature profiling systems for quality control and optimization of soldering processes. Fluke Process Instruments will present its temperature profilers for the unique challenges of heat treatment in the ceramic industry at the ceramitec exhibition in Munich, Germany. The DATAPAQ Kiln Tracker product family comprises thermal profiling systems for tunnel kilns, roller hearth kilns, and hydro kilns. 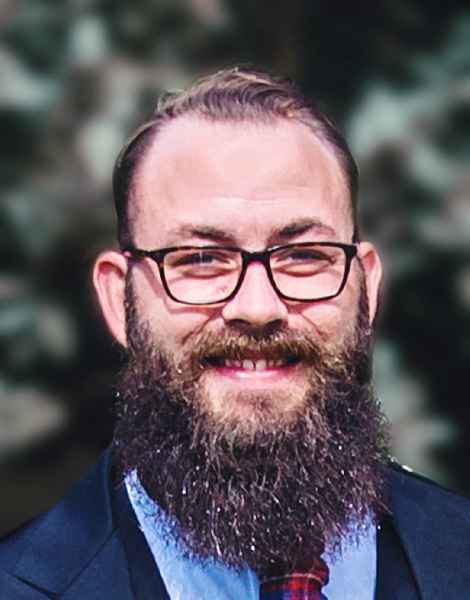 Fluke Process Instruments is happy to announce that Stewart Griffiths has joined the product management team in Cambridge, UK, as of January 2018. As the new Datapaq product specialist, Griffiths will be looking after the temperature profiling business worldwide. 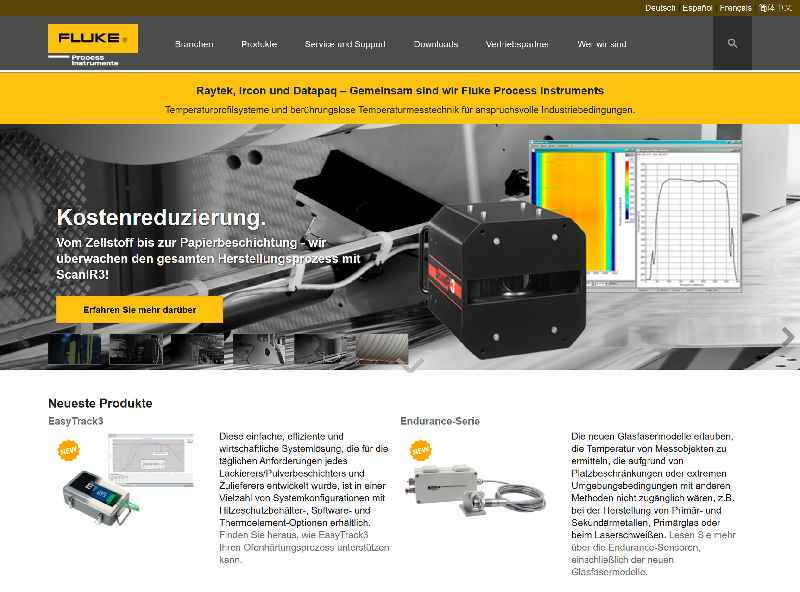 Fluke Process Instruments has relaunched the German company website at www.flukeprocessinstruments.de. Following the relaunch of the .com domain of the same name, the temperature measurement specialists now also provide a single stop for all product lines for German-speaking customers. Fluke Process Instruments has relaunched the German company website at www.flukeprocessinstruments.de. Following the relaunch of the .com domain of the same name, the temperature measurement specialists now also provide a single stop for all product lines for German-speaking customers. The redesign was due after the established brands Raytek, Ircon, and Datapaq had merged into one company. The new responsive web pages are easy to use with any device. Content is presented with an even stronger focus on areas of use, which facilitates product searches for any industry sector from metals to electronics and to coating. All kinds of applications are represented – each with one or more suitable temperature monitoring or temperature profiling systems. Data sheets and additional product information resources are listed on the same page and can be immediately downloaded. Of course, users can also navigate to products directly or by a search function. All the manufacturer’s infrared thermometers, thermal imagers, and temperature profiling systems are documented clearly and comprehensively. Users quickly find their local distributor and can also request a callback. 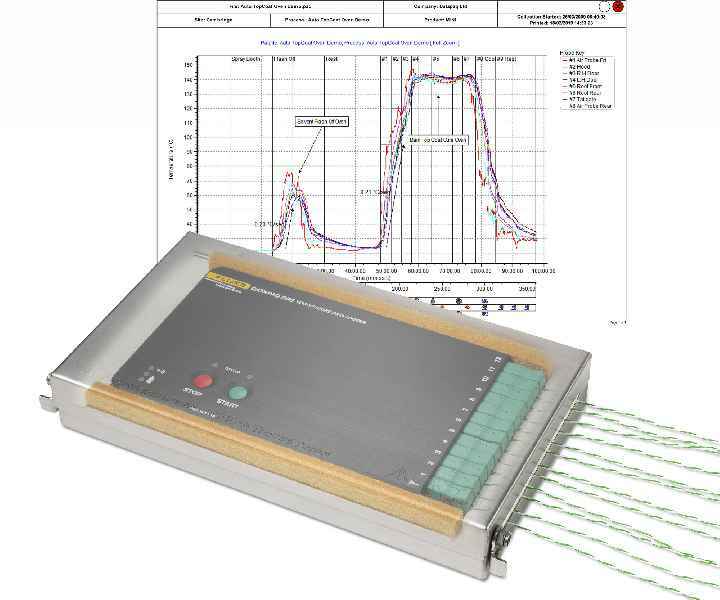 Complementing the newly launched DATAPAQ EasyTrack3 temperature data logger for paint and powder cure, Fluke Process Instruments supplies a comprehensive range of precise and reliable thermocouple probes. The type K thermocouples are specified to ANSI MC96.1 for an accuracy of ±1.1 °C or 0.4%. They are supplied with a PTFE-jacketed cable designed to give flexibility but also enhance life expectancy in an industrial environment. These measure temperatures up to 265 °C. In addition, high-temperature glass-fiber thermocouples rated up to 500 °C are also available. Various attachment options accommodate all magnetic and non-magnetic products of all shapes and sizes. Small patch probes have a very short response time and are therefore ideal for monitoring small parts, plastics, and cans. Clamp-on probes measure surface and air temperature and can be used universally for thin parts, including aluminum-extruded products. 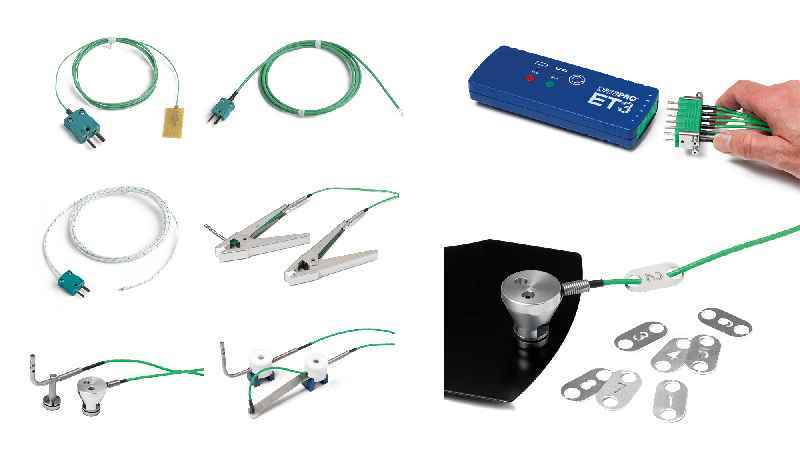 A range of magnetic probes are available for rapid attachment to ferrous surfaces in moving lines – namely offset magnetic probes for monitoring flat products and air temperature and MicroMag surface probes which easily fit in tight spaces. The range is completed by two-, four-, and six-channel probe clamps for quickly detaching the data logger and probe ID tags. The temperature monitoring experts Fluke Process Instruments will showcase a wide range of sensors for various industry sectors and applications at the 2017 Advanced Engineering exhibition. 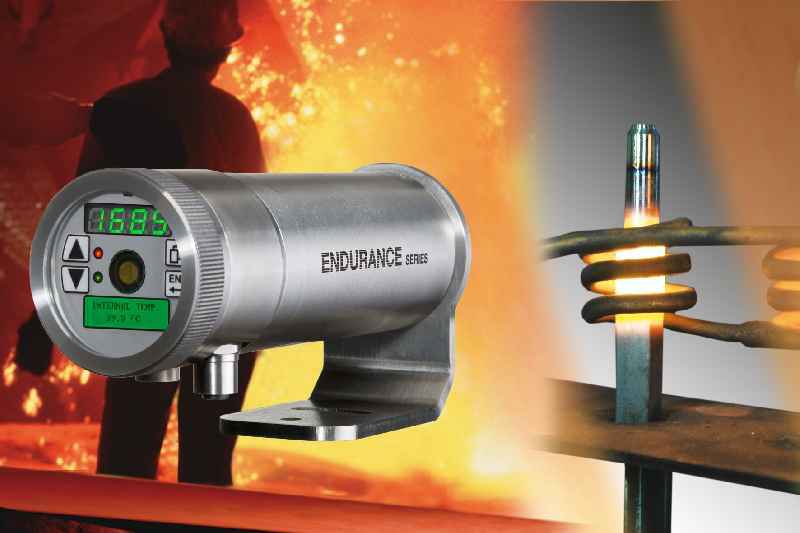 The latest addition to the noncontact, infrared thermometer portfolio, the Endurance series covers measured temperatures from 50 °C to 3,200 °C. Fluke Process Instruments has announced the launch of a new website, www.flukeprocessinstruments.com, combining its extensive global capabilities in industrial temperature measurement. Fluke Process Instruments has announced the launch of a new website, www.flukeprocessinstruments.com, combining its extensive global capabilities in industrial temperature measurement. The website was designed to reflect the company’s core competencies and mission to provide the most comprehensive infrared temperature measurement and profiling solutions for industrial, maintenance and quality control applications. Fluke Process Instruments brings together more than 150 years of experience in pioneering new technologies into one integrated company. 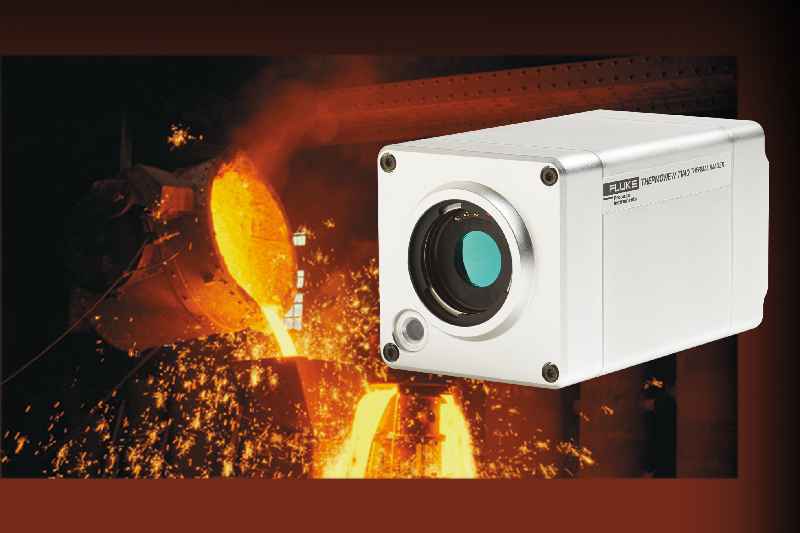 By joining three recognized brand leaders – Raytek, Ircon and Datapaq – it offers a complete line of infrared sensors, linescanners, thermal imagers and profiling systems for use in today’s most demanding environments. Fluke Process Instruments has consolidated multiple legacy domains into a single website with a new look and feel. Content and resources on the site are focused on industry and application-specific requirements, with solutions offered by type of technology. 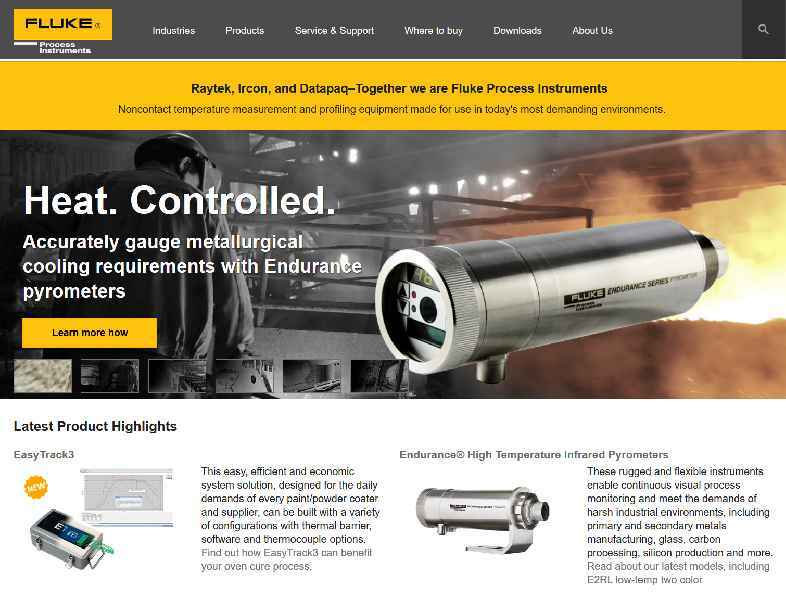 “We wanted a website that projected our fundamental capabilities, including our ability to meet the challenges of industrial temperature measurement through a world-class customer portal,” said Fluke Process Instruments Vice President of Sales and Marketing, Steven Moore. “This site accomplishes these objectives and accurately conveys our dedication to providing process instruments and solutions that assist our customers with making products that help the world function better.” Key features of the new Fluke Process Instruments website include: Integrated Assets and Resources – Provides one-stop shopping with easily recognizable industry application solutions for IR temperature measurement and thermal profiling Expanded and/or Refreshed Content – Increases availability of resources across the Fluke Process Instruments line and targets specific needs at each level of the customer journey Intuitive Interface – Makes information easier to find, simplifies search functionality and contributes to an improved overall customer experience Responsive Design – Simplifies navigation using any device (desktop, tablet and/or mobile) to keep pace with the new generation of industrial worker mobility Greater ease-of-use – Includes top-level navigation with dropdown menus to put information at the visitor’s fingertips, and provides links to relevant resources on each product page More Focused Sector capability – Helps end-users from various industries quickly and clearly understand solutions tailored to their unique requirements Improved Product Descriptions & Details – Offers concise specifications and visual images of the entire portfolio, with applications and products cross-referenced on individual pages Fluke Process Instruments developed its website based on recognized best practices and extensive voice of the customer (VOC) usability studies. The new site is currently provided in English, but will be updated to include German, French, Spanish and Chinese language versions in the near future. In addition, new Fluke Process Instruments social media sites will be coming soon. An “Our Shared Purposes” video provides additional information on the company. The new DATAPAQ EasyTrack3 temperature profiling system from Fluke Process Instruments addresses the needs of any paint or powder coating operation. A comprehensive range of thermal barriers protects the data logger with its non-volatile memory in infrared and convection ovens. The new DATAPAQ EasyTrack3 temperature profiling system from Fluke Process Instruments addresses the needs of any paint or powder coating operation. A comprehensive range of thermal barriers protects the data logger with its non-volatile memory in infrared and convection ovens. The light-weight aluminum standard barrier shields the electronics for up to 2 hours at 200 °C. Thermal protection is ensured by high-performance microporous insulation and a heat sink. The DATAPAQ EasyTrack3 Professional System extends protection to 3 hours, allowing users to monitor up to three cure processes consecutively. A thermal barrier for high-temperature PTFE and Dacromet coating withstands 400 °C for up to 90 min. Lastly, the manufacturer has also designed a low-height barrier for profiling typical mesh belt cure lines where oven clearance is significantly restricted. At merely 31 mm high, the barrier provides protection for a full 13 min at 200 °C or for 30 min at 100 °C. The logger operating temperature is 85 °C. It automatically switches off, should it ever heat above that point – for instance due to unscheduled line stops. This prevents faulty data collection. The profiler provides a measurement accuracy of ±1.6 °C (logger and thermocouple accuracy combined) over its entire operating temperature range. The robust, tried-and-tested system ensures successful measurements day after day. Fluke Process Instruments presents a trade show novelty at the 2017 SMT Hybrid Packaging exposition – the world’s smallest thermal profiling system designed specifically for miniature-wave selective soldering processes. 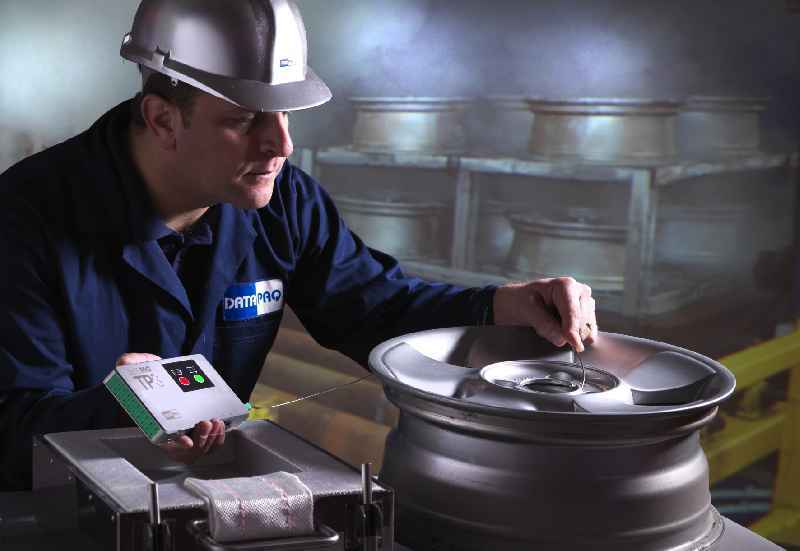 The DATAPAQ SelectivePaq measuring system consists of a new, smaller data logger and customized thermal barrier. Merely 20 mm high and 40 mm wide, it fits into every wave soldering system and is ideally suited for use with holding frames. Fluke Process Instruments presents a trade show novelty at the 2017 SMT Hybrid Packaging exposition – the world’s smallest thermal profiling system designed specifically for miniature-wave selective soldering processes. 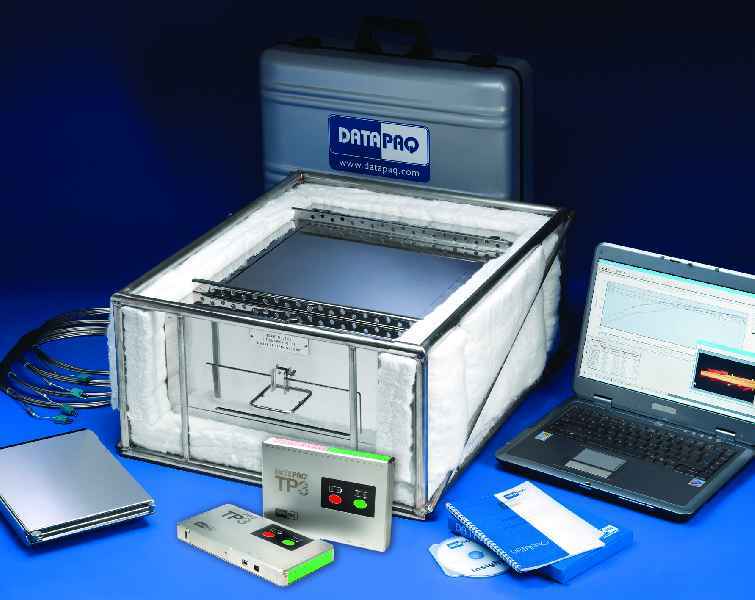 The DATAPAQ SelectivePaq measuring system consists of a new, smaller data logger and customized thermal barrier. Merely 20 mm high and 40 mm wide, it fits into every wave soldering system and is ideally suited for use with holding frames.Part of the proven DATAPAQ Q18 series, this micro-size data logger provides a superior accuracy of ±0.5 °C and a resolution of 0.1 °C. It uses four thermocouples to take measurements from electronic assemblies as they are preheated in an IR or convection oven and then dip-soldered. Probing intervals can be adjusted to up to 20 samples per second. With a logger case machined from solid aluminum and user-replaceable rechargeable battery packs, these products achieve a very long service life and extra-low operating cost. 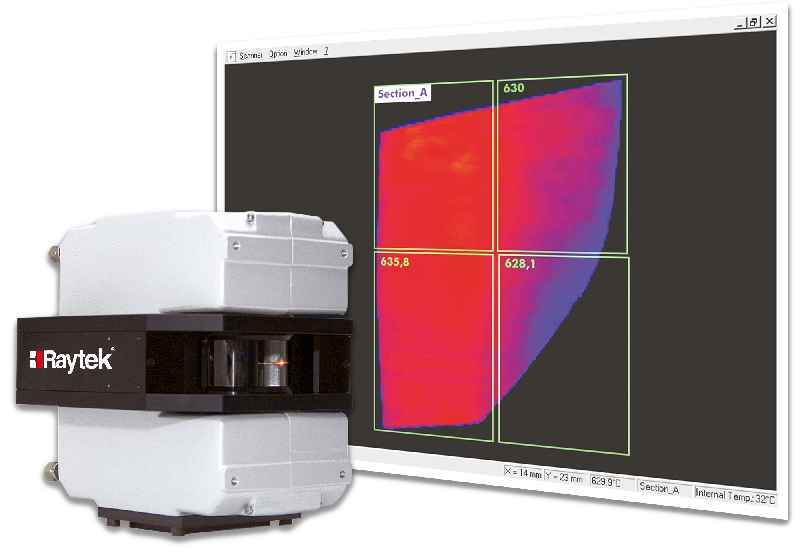 The profiling systems come with the full-fledged version of the DATAPAQ Insight Reflow software that has data analysis options for maximum slopes, maximum temperatures, and wave contact times. An optional Sensor Array facilitates regular and frequent checks of process stability. Fluke Process Instruments supplies systems solutions for temperature profiling in SMT processes that comprise a data logger, thermocouples, a thermal barrier, and software. DATAPAQ Reflow Trackers monitor reflow, wave, vapor phase, and selective soldering applications. They travel along with the PCBs through every stage of the process including the preheating phase, capturing detailed temperature profiles along the way based on data gathered by up to 12 sensors. Fluke Process Instruments supplies systems solutions for temperature profiling in SMT processes that comprise a data logger, thermocouples, a thermal barrier, and software. 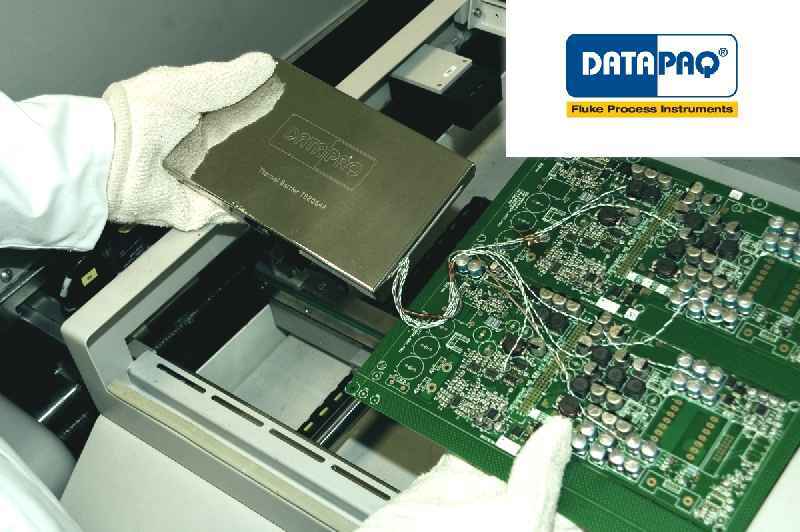 DATAPAQ Reflow Trackers monitor reflow, wave, vapor phase, and selective soldering applications. They travel along with the PCBs through every stage of the process including the preheating phase, capturing detailed temperature profiles along the way based on data gathered by up to 12 sensors. Featuring automatic analysis, traffic light signals, and programmable alarms, the loggers instantly show whether the specification for a profile is compromised. Precise temperature control is vital – the solder must be melted without damaging the electrical components. The DATAPAQ Easy Oven Setup software, which is included free-of-charge with any Reflow Tracker system, features a function for automatically determining oven recipes. This saves a lot of valuable time during commissioning and product changeovers. In addition, the software provides comprehensive analysis functions. Downloaded to a computer, the profiles can be shared via the open communications standard OPC for further analysis. The most recent addition to Fluke Process Instruments‘ profiler range for the electronics industry is the world’s smallest temperature monitoring system for selective mini-wave soldering: no more than 20 mm high and 40 mm wide including the thermal barrier, DATAPAQ SelectivePaq enables reliable measurements even in very tight spaces. The newest generation DATAPAQ EasyTrack3 system makes profiling oven cure of painted and powder-coated products as easy as never before. Fluke Process Instruments has equipped the data logger with a rugged and light polycarbonate casing that withstands harsh treatment and heat up to 100 °C without distortion and without harm to the electronics. Versions with four or six thermocouple channels are available. The newest generation DATAPAQ EasyTrack3 system makes profiling oven cure of painted and powder-coated products as easy as never before. Fluke Process Instruments has equipped the data logger with a rugged and light polycarbonate casing that withstands harsh treatment and heat up to 100 °C without distortion and without harm to the electronics. Versions with four or six thermocouple channels are available. Data is stored in a non-volatile memory – the capacity has been tripled to up to 18,000 readings per channel.The loggers use replaceable 9 V batteries. An intelligent power management ensures a long battery life for 50 and more profiling runs. Calibration certificates stored aboard the logger can be printed anytime. When the logger is connected to a PC (via USB), the software now starts automatically. Reviewing and analyzing the data, users can dynamically change the language. Logger diagnostics is much facilitated by a quick reference guide and animated tutorials. For remote diagnostics, status data can be emailed to the manufacturer’s tech support. Fluke Process Instruments supplies a versatile range of profiling systems with probes and thermal barriers to suit a variety of applications. The new pro version logger carries out up to three consecutive profiling runs before data download to a PC. It features a traffic light indicator that instantly shows whether process criteria have been met. The DATAPAQ EasyTrack Insight Professional software includes advanced analysis functions such as rise/fall, peak difference, area under curve calculation, marking of up to six oven zones in the temperature graph, a probe map for high repeatability, saved zooms for even more comfortable reviewing and sharing of data, and customized profile reports. Fluke Process Instruments presents 10-channel and 20-channel data loggers for temperature profiling in aluminum solution treatment and age hardening processes. The new DATAPAQ TP3 loggers store up to 3.6 million data points and provide an excellent ±0.3 °C accuracy. Thermal and ingress protection have been enhanced to ensure optimal performance. The logger can automatically choose a faster sampling interval once immersed in the quench tank, enabling users to collect more data during the critical quench process. 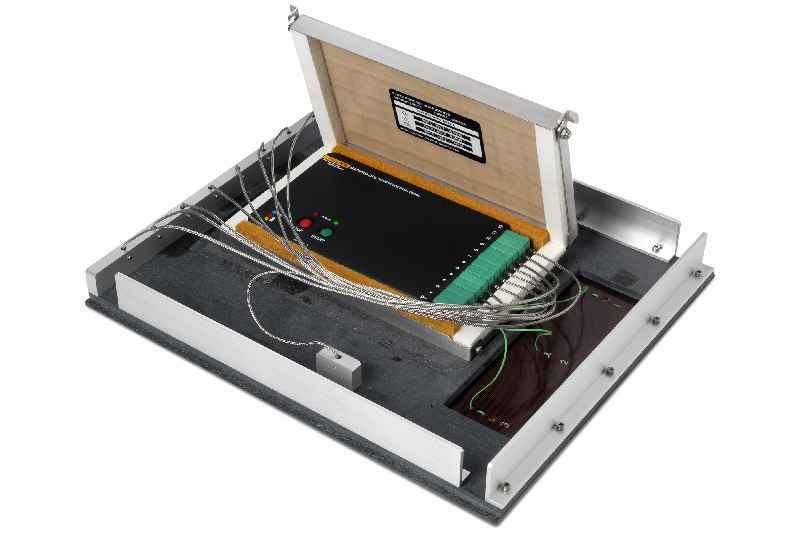 The manufacturer offers complete profiling systems including software, thermocouples, and a line-up of low-height thermal barriers that protect the electronics for 5 to 20 hours. To keep the data logger from heating above its 100 °C max. operating temperature, the thermal barrier is filled with water, which partly boils off in the first heating cycle. Fluke Process Instruments presents 10-channel and 20-channel data loggers for temperature profiling in aluminum solution treatment and age hardening processes. The new DATAPAQ TP3 loggers store up to 3.6 million data points and provide an excellent ±0.3 °C accuracy. Thermal and ingress protection have been enhanced to ensure optimal performance. 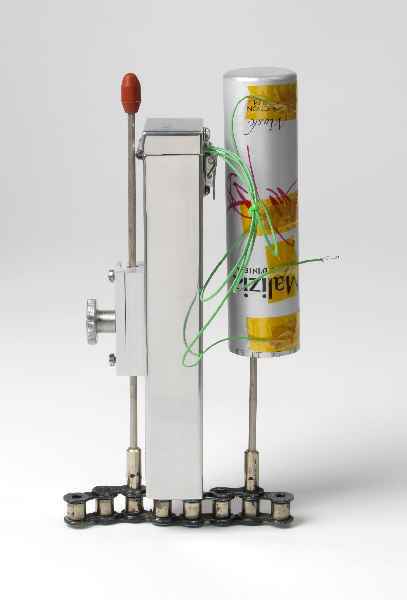 The logger can automatically choose a faster sampling interval once immersed in the quench tank, enabling users to collect more data during the critical quench process. 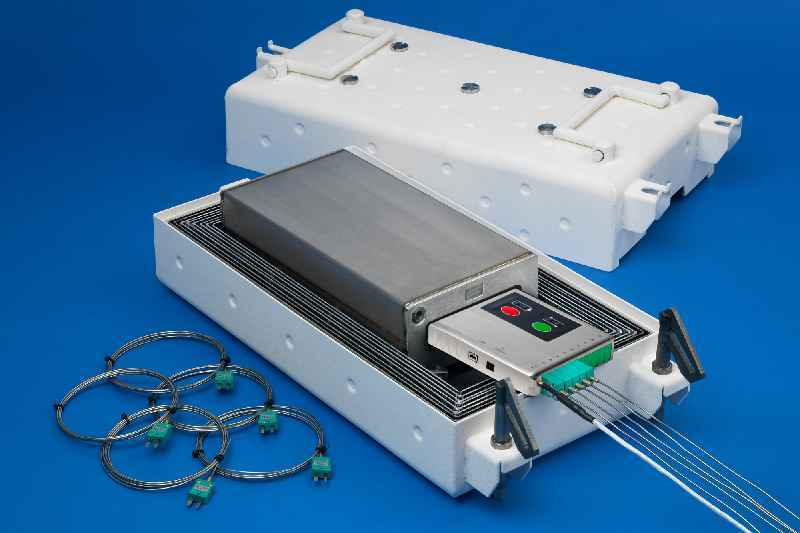 The manufacturer offers complete profiling systems including software, thermocouples, and a line-up of low-height thermal barriers that protect the electronics for 5 to 20 hours. To keep the data logger from heating above its 100 °C max. operating temperature, the thermal barrier is filled with water, which partly boils off in the first heating cycle.The water reservoir is replenished when the profiler is immersed in the quench tank along with the products, thus providing ample protection in the age hardening stage. Featuring low heights between 160 mm (5-hour model) and 321 mm (19- and 20-hour models), the barriers can be used even in furnaces with very low clearances. Due to the innovative combination of insulation technologies, the barriers can be re-used instantly after a measurement run. The loggers can execute up to ten consecutive measurement runs before data download via Bluetooth or USB. The DATAPAQ Insight software enables comfortable analysis of the temperature profiles and generates ISO9000 and CQI-9 reports if required. All systems can be combined with wireless telemetry technology for real-time transmission of temperature data, allowing for instant analysis and adjustment of process parameters. Fluke Process Instruments has developed a miniature monitoring solution for monoblock cure processes. The DATAPAQ MonoPaq2 system profiles the metal temperature of coated aluminum bottles, aerosols, and collapsible tubes both in IBO and OBO lines. Fluke Process Instruments has developed a miniature monitoring solution for monoblock cure processes. The DATAPAQ MonoPaq2 system profiles the metal temperature of coated aluminum bottles, aerosols, and collapsible tubes both in IBO and OBO lines. The thermal barrier measures merely 41 x 48 x 195 mm, making it 43% smaller by volume than the preceding generation. The temperature profiling system can be used in lines with very closely spaced pins (>45 mm) and with various product basket sizes. 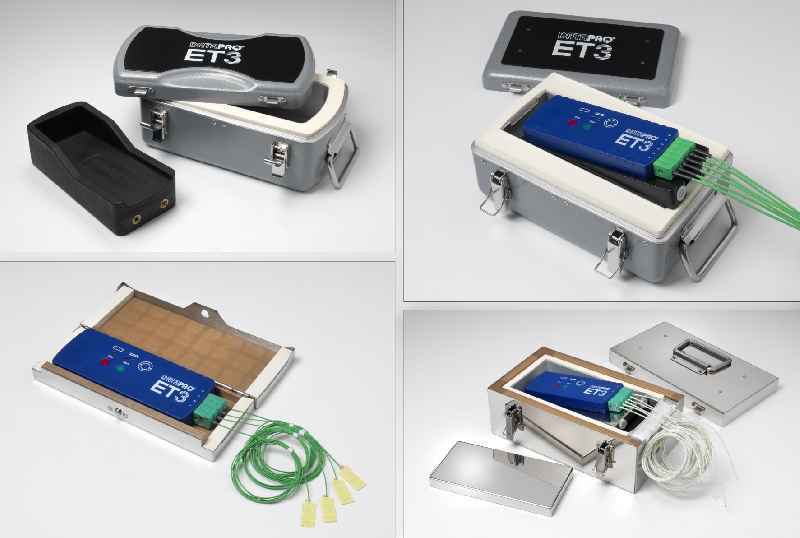 This engineering success is primarily based on the development of a new data logger with a minimal footprint. 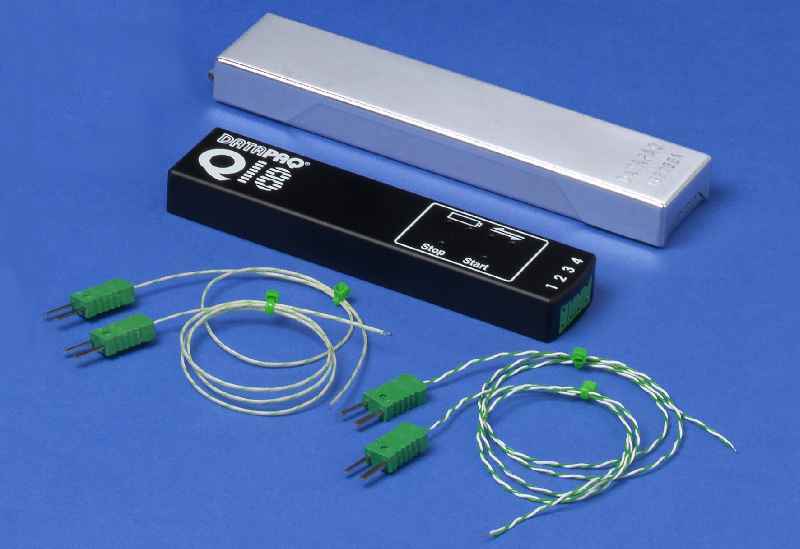 The new DATAPAQ Q18 logger connects four thermocouples via micro-miniature sockets and logs up to 32,000 readings per channel with an adjustable interval of 0.05 s or more. Its accuracy of ±0.5 °C puts it squarely in the class of the best available loggers. Downloaded to a PC or notebook, the thermal profile can be reviewed with the DATAPAQ Insight software, which includes versatile visualization, analysis, and reporting functions. Manufacturers can thereby optimize their oven settings and ensure that every product experiences the specified time at temperature. Regular monitoring is facilitated by the compact size and light weight of the system. Mounting brackets are available in different versions for quick and secure attachment in any line layout. Fluke Process Instruments announces the smallest thermal profiling system designed specifically for miniature wave selective soldering processes. 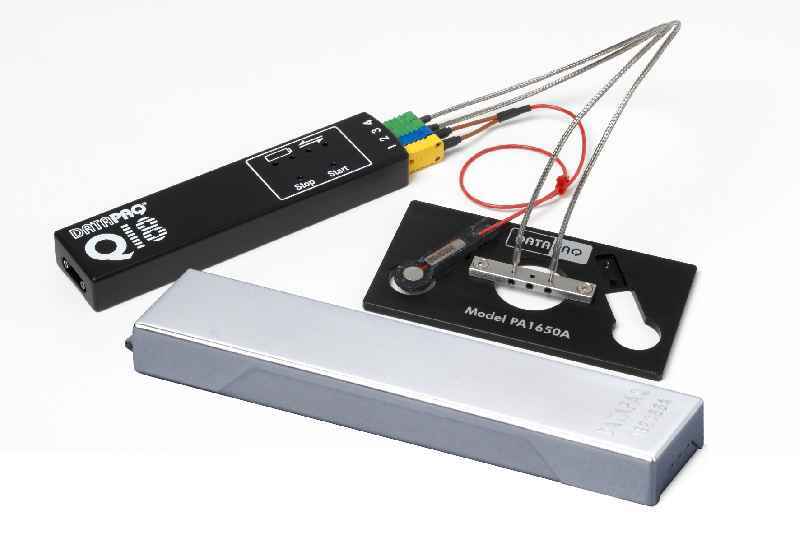 The DATAPAQ SelectivePaq uses four thermocouples to take measurements from the electronic assembly as it passes through the preheating and dip soldering phases. Fluke Process Instruments announces the smallest thermal profiling system designed specifically for miniature wave selective soldering processes. 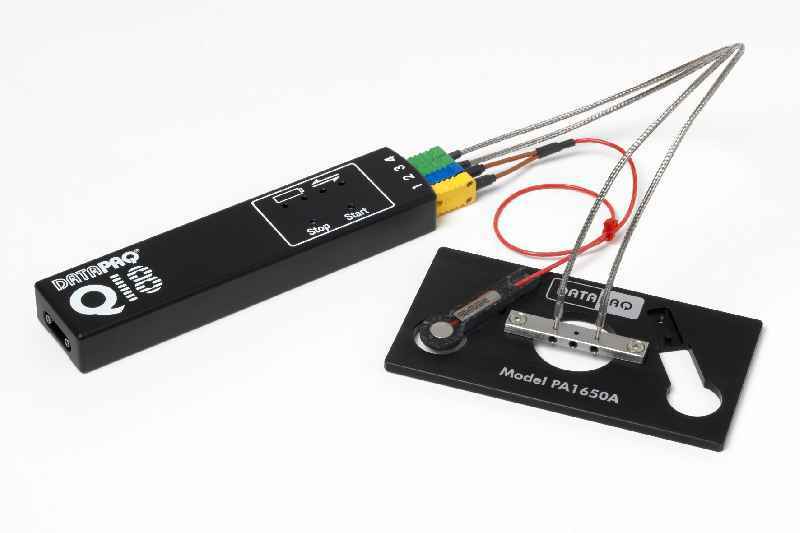 The DATAPAQ SelectivePaq uses four thermocouples to take measurements from the electronic assembly as it passes through the preheating and dip soldering phases. Sample intervals can be adjusted to up to 20 times per second. The detailed temperature profiles enable electronics manufacturers to adjust their operations for optimum efficiency, validate the consistent quality of PCBs to customers, and prove adherence to both solder and component temperature constraints. The profiling system combines a new four-channel DATAPAQ Q18 micro data logger with the latest micro-miniature thermocouple plugs and a low-mass thermal shield merely 20 mm high and 40 mm wide. It is therefore optimally suited to monitor the performance of machines that offer very restricted space and for use with holding frames. The complementary DATAPAQ Selective Soldering Process Sensor Array facilitates regular and frequent process stability measurements. The logger provides a superior accuracy of ±0.5 °C and resolution of 0.1 °C. It connects up to three height-adjustable wave contact thermocouples and up to two preheat thermocouples for monitoring both process phases. The preheat thermocouples contain a top and a bottom sensor and are designed to work with IR and convection preheat technologies. The machined-from-solid aluminum logger case and user-replaceable rechargeable battery pack ensure a long operational life and lowest ownership costs. The system is supplied with the full DATAPAQ Insight Reflow software. Data analysis includes maximum slopes, maximum temperatures, and wave contact times. The software enables data export to other Windows-compatible programs.